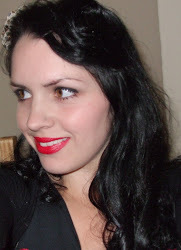 Do you think that sometimes 'less is more'?? I do! I absolutely adore 'Clean and Simple' (CAS) cards - although they can be a bit tricky. Today's card is CAS and I'm wondering if it is too simple? Like it is missing something? 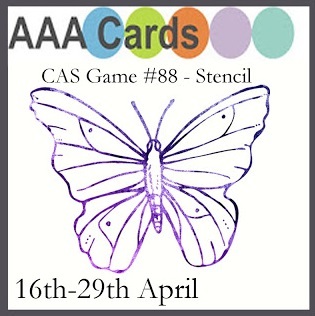 Even though I can't work it out I am entering it into one of this week's AAA Cards challenges - Game #88 - Stencil. 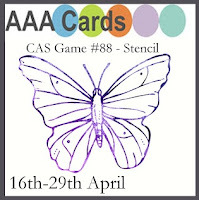 For this challenge you have to create a CAS card using a stencil. 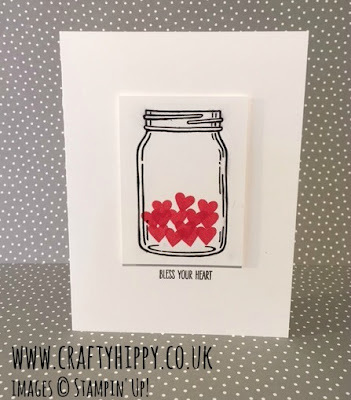 I stamped the Mason jar from the Jar of Love stamp set and then used a heart die (from a retired set) to cut a hole in a bit of waste card to use as my stencil. 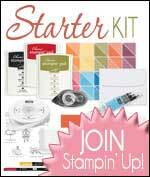 I sponged through the stencil using the Real Red Classic Stampin' Pad and a sponge which I cut down to a small piece. I wanted a solid image so I used lots of ink. I then stamped one of the sentiments from Jar of Love - 'Bless your Heart' in Basic Black. If you have any suggestions as to what this card is missing please let me know! Usually I get CAS cards right but occasionally they're hard to figure out.